St Enodoc is one of the most revered golf clubs in England, featuring the famed Church Course and accessible Holywell, ranked highly across the country and beyond. Playing there is a special experience for any golfer, and it's a gift that you could provide thanks to the unveiling of Christmas gift certificates for one to four people on either layout. Anyone receiving a St Enodoc gift certificate will no doubt be delighted to be given the opportunity to play over one of England’s most revered courses that regularly features in the top 10 of the numerous golf course rankings brought out by the various golf publications. Recognised as one of James Braid’s most beguiling designs, the Church Course is as quirky as it is exciting with its unique combination of blind shots, testing fairway undulations, firm greens and its distinctive and fearsome Himalaya Bunker on the 6th hole, which is reputedly the highest in Europe. 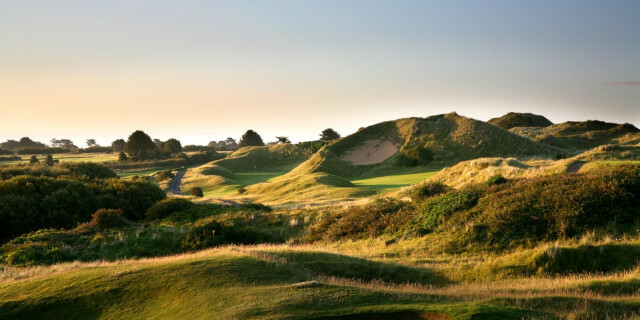 Notably, the Church Course was the favourite course of poet laureate, Sir John Betjeman, who wrote his famous ode, ‘Seaside Golf’, about his exploits over the 13th hole at St Enodoc. The club meant so much to Betjeman that he lies buried beside the 10th green of his favourite course in the grounds of the 11th century St Enodoc Church. Founded in 1890, St Enodoc Golf Club is also home to the Holywell Course which is a lot shorter and less challenging than the Church, making a round over this layout the ideal gift for beginners or youngsters interested in taking up the game. And with green fees starting at just £7.50, the gift certificate for the Holywell offers incredible value and makes a great stocking present. Whether playing the Church or the Holywell, 18 holes of golf is a wonderful way to embrace the outdoors, enjoy some fresh air and stunning sea views and get your game – and your body - in shape after the festive break! It should be noted that any surplus amount on any gift certificate that is not used is not refundable, nor is it transferable, and normally it will have a six-month expiry date from the day of issue. In addition, there is a maximum handicap limit on the Church of 24 for Men and 28 for Ladies though no handicap limit is required for the Holywell. For more information on St Enodoc Golf Club, please visit www.st-enodoc.co.uk and for information on St Enodoc golf breaks, click onwww.st-enodoc.co.uk/visitors/devon-and-cornwall-links/.